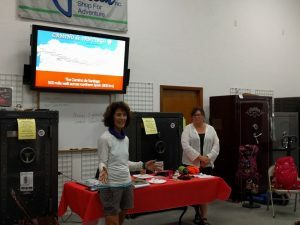 Nancy sharing her adventures on the Camino de Santiago. 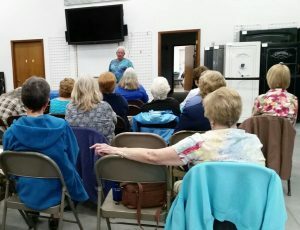 Captain Markett ended up not being able to make it to the meeting in February so he spoke at our March meeting, which was Wednesday, March 21. Social time started at 6:30 at Bill Jackson’s, located at 9501 US Highway 19 North in Pinellas Park. For those who like to fish, it was a chance to ask questions from an experienced fishing guide familiar with the Tampa Bay fishing waters. Our first meeting of the year will be Wednesday, February 21. Social time will start at 6:30 at Bill Jackson’s, located at 9501 US Highway 19 North in Pinellas Park. If you like to fish, this is a chance to ask questions from an experienced fishing guide familiar with the Tampa Bay fishing waters. We will also discuss upcoming trips.